It's a classic American story. It almost sounds mythic, and it sure as hell would make a great movie. And nobody could have played the part better than Bob Luman. Here's this dirt-poor kid from east Texas, born in 1937 and growing up in the boring, strait-laced days of the early 1950s. He's sleep-walking his way through high school, trying to decide between his two loves: baseball and music. He's too wired to do well in school. It's hard to sit still, and concentrating on American history and practical math is out of the question. Sometimes his thoughts take him to the baseball diamond. He's hitting for power or making the kind of catches you see on highlight reels, robbing someone else of a hit. Sometimes he thinks about performing on stage with his guitar, fronting his own band and sounding like Lefty Frizzell or Webb Pierce or whoever happens to be on the charts. But somewhere deep down, at a level he can't even describe, the music isn't quite what he's looking for. Something is missing. The performing is OK; he loves to be up on stage working the audience. It's the music itself that isn't quite satisfying. But where else can he take it? What options are there for a teenage white boy in Texas around 1954? If not country music, then what? Surely not the horrible pop music that some adults listen to. That's not the kind of singer he is. And he's not black, which rules out the kind of music he sometimes hears late at night on stations like WLAC in Nashville. But, boy, there's something really appealing about those blues and R&B sounds he's been hearing more and more. And then it happens like in some sort of Hollywood movie script. It's very sudden and almost from that moment there's no turning back. 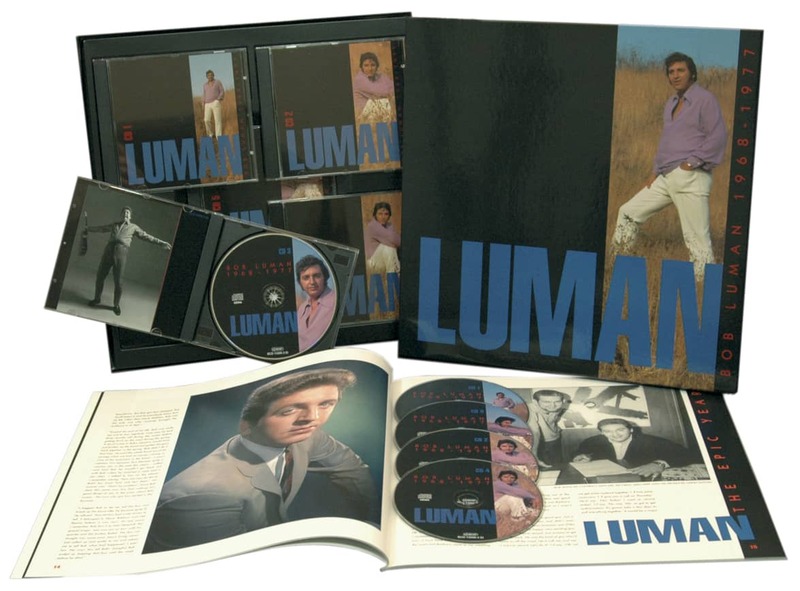 What Bob Luman doesn't know is that he's not the only one it's happening to. But none of that matters right at the moment. The point is that Luman is almost immediately a changed man. Suddenly he knows what he wants to do. Baseball will slip into the background and become something to do in his spare time. Music, this new kind of music, will define who he is and what he does. His story will be told and embellished many times over the years, by press agents, music journalists, and by Bob, himself. 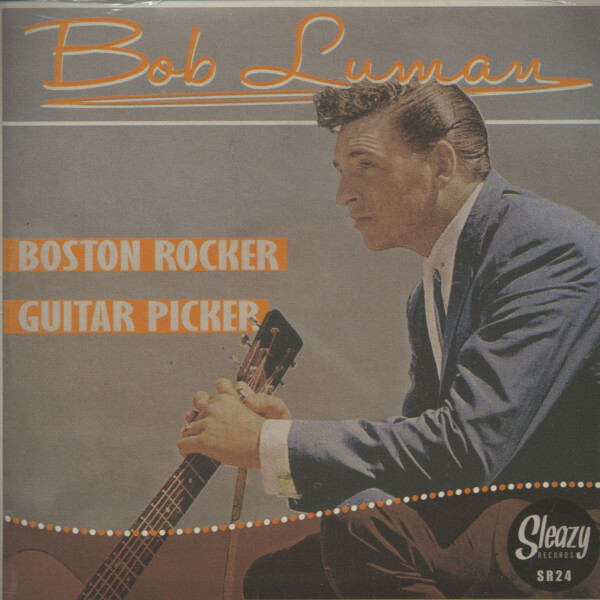 The official version goes like this: Bobby Glynn Luman was born on April 15, 1937 in Blackjack, a small community near the east Texas town of Nacogdoches. He went to high school in Kilgore and learned to play guitar from his father, who was also proficient on fiddle and harmonica. J. C. 'Coot' Luman was, in the words of Bob's wife Barbara, "a real John Wayne type." A tough uncompromising guy who nevertheless had a real soft spot for his son. Bob was fronting a fairly traditional country band. In August, 1955, all of that changed. 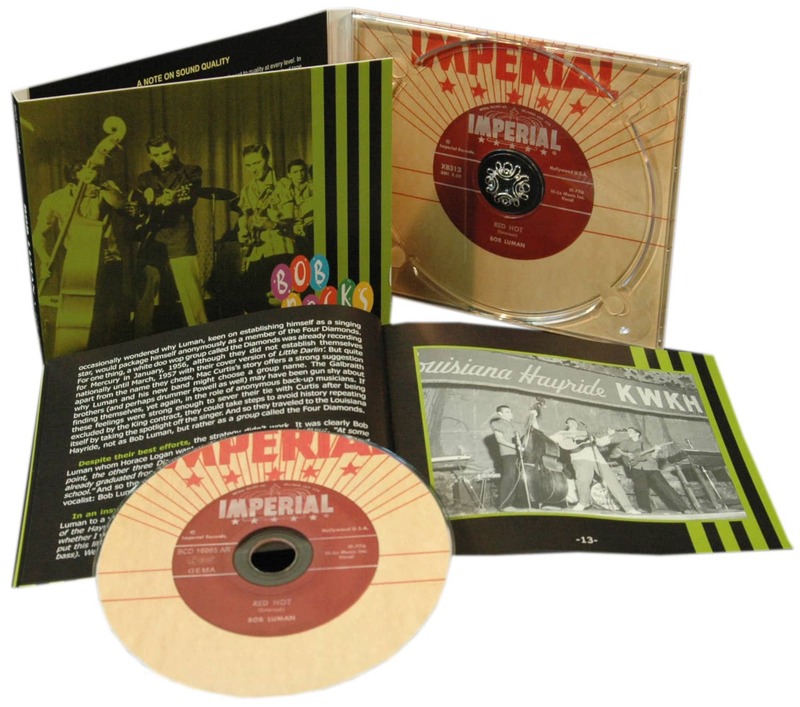 Elvis Presley, flush with the success of a few Sun Records, came through Texas. One story has it that Luman's girl saw or heard about the show first, reporting the events to Bob the next day. He wasn't sure what to make of her story, but he sensed that something was happening and he had to check it out. That evening they both went to see the strange looking young man with sideburns and swivelling hips. That was, to borrow a cliché, the first day of the rest of Bob Luman's life. 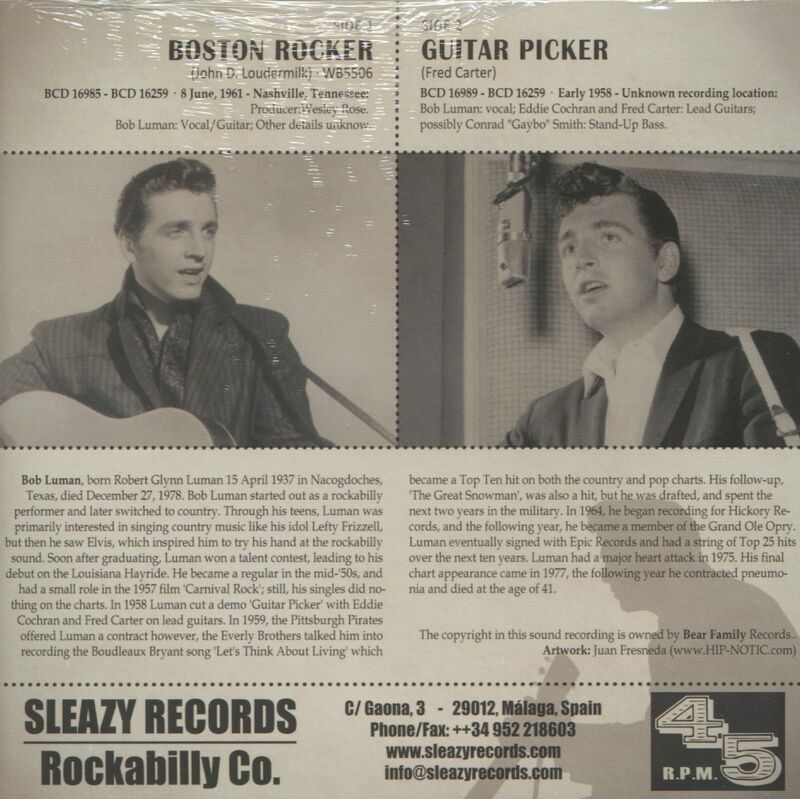 Customer evaluation for "Boston Rocker - Guitar Picker (7inch, 45rpm, PS)"